To stop snoring, duct tape works every time it’s tried. Duck, NC – Are you looking for a smart solution to your partner’s snoring problem? Have all your other feeble attempts to get a good night sleep failed? 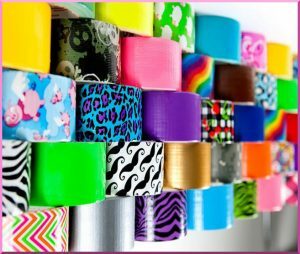 Our very own Dr. Willy Nilly suggests using something that you probably already have in your home: Duct Tape! Studies have shown that duct tape works 100% of the time for stopping snoring sleepers. Directions: Simply cut a one foot section of heavy-duty duct tape and then carefully apply across the mouth area of your sleeping spousemate. During the holiday season, consider using decorative duct tape for a more festive mood.